DJI may not have released the Mavic 2, but the Mavic Pro Platinum is not a bad start. You’ll get a quieter Mavic with a longer flight time. The improved performance of the Platinum is due to more efficient ESCs (electronic speed controllers) and some uniquely-shaped propellers. The upgrades extend the flight time of the Mavic Pro Platinum to 30 minutes and make it 60% quieter. DJI has released a new Platinum color so everyone will know you have the shiny upgraded model. The DJI Mavic Pro Platinum is an impressive little machine. If you can afford it, buy it. If you can’t, then buy it anyway – your friends will envy you for having the coolest piece of technology with 4 props. If you are buying new then you have a choice. You can spend an extra $100 and get the Platinum edition with improved ESCs, or you can spend just $10 on the upgraded props. You better pick up the original Mavic Pro soon, we wouldn’t be surprised if DJI discontinues it soon. Like the original Mavic Pro, the features on this drone are fantastic. It has a multitude of cameras and sensors that allow it to avoid obstacles in flight, track people and objects and return to its take-off point within inches. You can fly the Mavic using their gamepad-style transmitter or you can forgo the controller all together and fly using your smartphone. The intuitive controls make this the best smartphone-controlled drone on the market. The remote transmitter was designed to be compact, it has an LCD display and can hold your smartphone. The Mavic will transmit clear 1080p to your smartphone and can even stream live to Facebook and other apps. Each drone that DJI releases seems to become easier to fly and an overall a better machine, and the Mavic is no exception. Overall this is an awesome machine. If you already own a Mavic you need to check out the must have accessories for this drone here. The feature that sets the DJI Mavic apart from the competition is its extreme portability. You can take this compact drone, fold it up, throw it in your backpack and go. You don’t even need to pack their remote transmitter as long as you have a smartphone and the free DJI app. When it is folded up it is 7.8” x 3.3” x 3.3”, or roughly the size of a water bottle. It weighs in at 1.6 lbs., which is about half the weight of the Phantom 4. 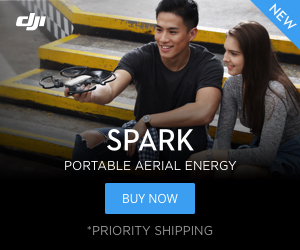 DJI did not sacrifice performance when they made this drone portable. The new Mavic Platinum Pro still is capable of flying at 40 mph (65 kph) and has a maximum flight time of 30 minutes thanks to its efficient 3830 mAh smart battery and new propellers. This drone is powerful enough to carry some payload. We spoke with the crew from Kodak at CES and they reported that they were able to mount two Kodak PIXPRO SP360 super-fisheye lenses on the Mavic to capture obscuration-free 360° video. You will also need some leg extenders to pull this off. Stand by for the camera mounts, if a set isn’t available soon we will design our own and make them available to you for 3D printing. We’ve flown our Mavic with an LG360 Cam for some awesome video. The new OcuSync video transmission system will give you a range of 4.3 miles (7 km) and the drone has a maximum range of up to 8 miles (13 km). You can even pair the Mavic with DJI’s new FPV goggles for an up close and personal view from the onboard 4K camera. The technology packed inside of the Mavic is a marvel. It has 24 high-end computing cores helping to coordinate and stabilize the flight of the drone. The drone uses both GPS and GLONASS systems as well as five vision sensors to keep the drone safe while flying. The sensors help the Mavic avoid obstacles as well stabilize the flight of the drone both indoors and out. DJI designed the Mavic’s remote to feel like a gaming controller. DJI has positioned the smartphone holder to sit in front of the remote, so it will no longer fit a large tablet. The remote has a built-in LCD screen with important on board information in case you want to fly without your phone or if your phone dies for some reason (our iPhone 6s shut off when flying in 20°F cold weather conditions). You will need your smartphone to view the video feed from the Mavic unless you upgrade to a CrystalSky screen when it becomes available. DJI designed the Mavic to be able to fly without the remote transmitter and can be done so with just your smartphone. Not having to carry a remote around is a nice feature, but it will limit the flight range of the Mavic to the WiFi signal produced by the Mavic. That range varies greatly depending on where you fly and the level of radio interference. The Mavic was designed to be a flying camera, and it is a very nice camera. It will capture 4K video and can take 12 MP stills from its camera. It has a field of view that is roughly 79 degrees, which is good for taking nice pictures, but not wide enough for you to be racing this drone around very easily like an FPV racer. The horizontal field of view is about 65° which makes it wider than an iPhone (59°) but more narrow than the Phantom 4 (84°) and the Phantom 4 Pro (74°). The JPEGs that the Mavic takes are very sharp, indicating well designed and well-built optics. The images are a bit over-processed, probably to make your outdoor footage a bit more vivid without you doing your own processing. Our test shots show that the sharpness is as good as a Phantom 4 but DJI has cranked up the settings on Mavic for over-aggressive sharpening and saturation. If you want more control you may want to record using RAW. The camera is stabilized by the smallest 3-axis electronic gimbal that we have ever seen. You can record your video and pictures or even stream them live to Facebook and a handful of other apps. The DJI Mavic Pro Platinum has the flight modes you have come to expect from a drone. It has a return home, orbit mode and a follow me mode. The Return Home feature is now safer and more accurate thanks to the upgraded sensors on the front and bottom of the drone. DJI has provided some new Active Track modes to the Mavic that were not available on the Phantom 4. Active Track, which allows you to choose a subject to follow, now includes “Spotlight” and “Profile”, giving the pilot more control while keeping the subject centered. The Mavic can fly via waypoints and has a new Terrain Follow capability that allows for the Mavic to gain altitude automatically, rather than just stop, when the obstacle avoidance system sees the ground is getting too close. You can take a “dronie”, or drone selfie, by using gesture recognition. This is the first time we have seen a feature like this on a drone. If you are trying to capture that perfect moving shot you can put the drone into tripod mode, which will lower the maximum speed to 2.2 mph to help you capture really smooth motion with maximum stability. Should you buy the DJI Mavic? Overall the DJI Mavic Pro Platinum is an excellent choice, but let’s take a quick look at a few other great options from the DJI lineup. The Phantom 4 Pro has better sensors, a better camera, but it will cost you several hundred dollars more. The Phantom is also bigger and heavier, which allows it to handle windy days a little better than the Mavic. 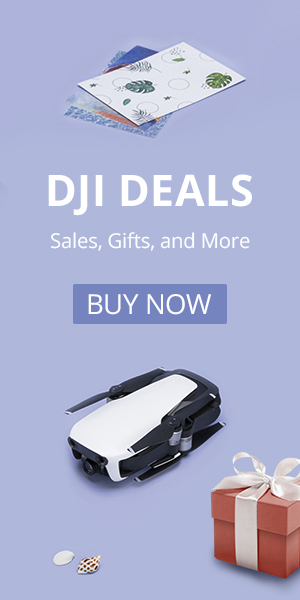 If you are looking for a camera drone at about half the cost of the Mavic, the Phantom 3 Standard or the DJI Spark are both excellent options as well. While it lacks the range, fancy sensors and “only” has a 2.7K camera, the Phantom 3 Standard remains an attractive alternative for the bargain shopper. The Spark is a small compact alternative to the Mavic. If you are looking for something with a bit more performance than the Phantom 3 Standard but still less expensive than the Phantom 4 Pro, take a look at the Phantom 3 Pro. The Phantom 3 Pro has significantly more range than the Standard as well as some other upgrades. Pingback: The NEW DJI Mavic Pro Alpine is one good looking drone! Pingback: Autel Evo: The DJI Mavic Killer? Pingback: Leaks Reveal the DJI Mavic Air: Part Mavic, Part Spark (and Part GoPro)? Pingback: Mavic Air Camera Test: How Does it Compare to the Mavic Pro and Spark? Pingback: What is the BEST Drone Under $1000? That Depends on Who YOU Are! Pingback: DJI Mavic Pro 2 vs The Mavic Pro Platinum: Which is Better for YOU? Pingback: DJI Mavic 2 Pro vs The Mavic Pro Platinum: Which is Better for YOU?